Something happened to me after my three day The Loop side trip. Prior to that I was excited at the prospect of crossing back into Vietnam. 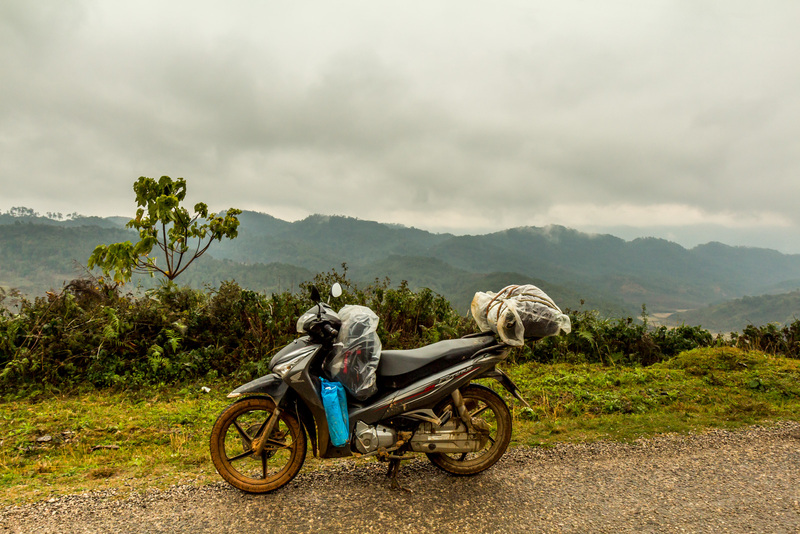 I looked forward to spending time in the charming little town of Kon Tum. I thought it would be fun to return to the beachside city of Nha Trang. Riding to Saigon would close my big loop around the two countries. And the prospect of selling my motorbike made me sad. I had become very attached to her over the past six months. But after enduring freezing weather in the North, I was teetering on the brink. I knew I wasn’t enjoying Laos like I should have been. Instead of perceiving the countryside as rural, charming, and authentic, it just seemed boring and repetitive to me. I had seen more beautiful mountains than I could handle. We rode a long way together. After The Loop the scenery on the main road south was flat, developed, and uninteresting. 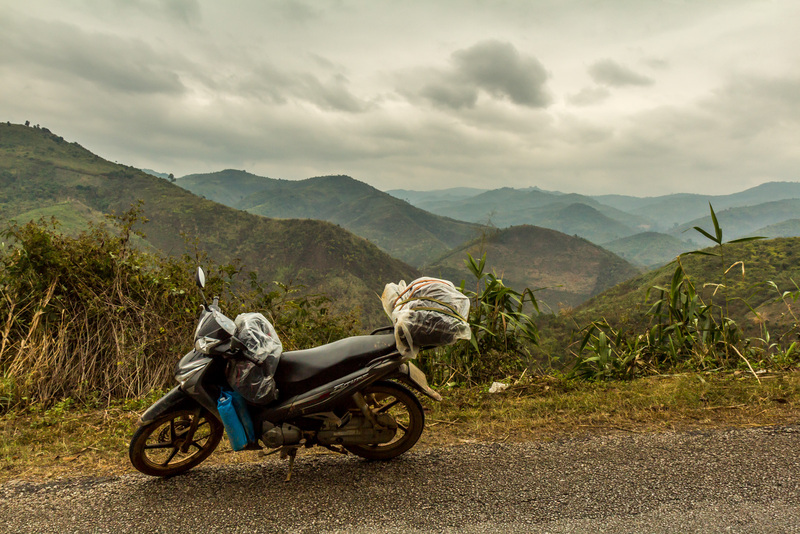 I knew there were more amazing remote mountains to be seen on my planned route back to Vietnam, which would climb onto the scenic Bolivan plateau. But I wasn’t excited about more mountain vistas. And I didn’t want to see the same scenery that I had already seen in Vietnam again. 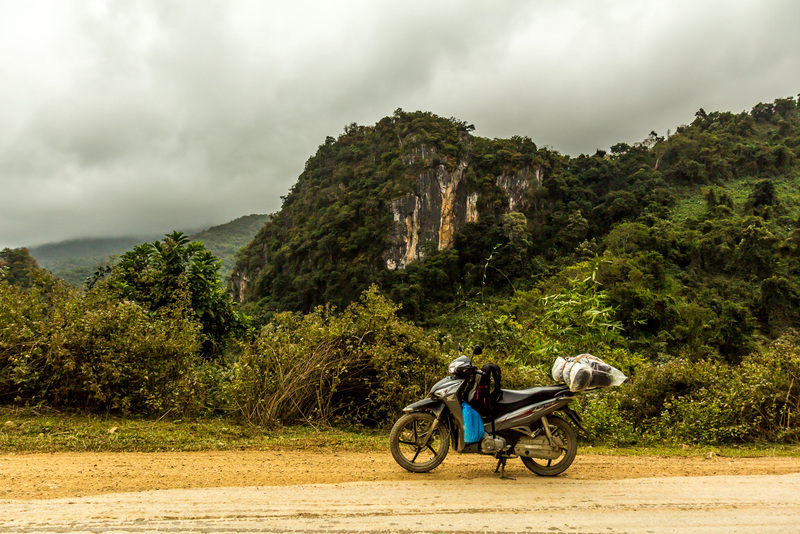 On the boring ride south I started to consider selling my motorbike in Laos. I knew I’d have to practically give her away here, but when I considered how long I’d used her, and the savings from not returning to Vietnam (a visa is expensive, and hotels add up), I figured it was worth it. 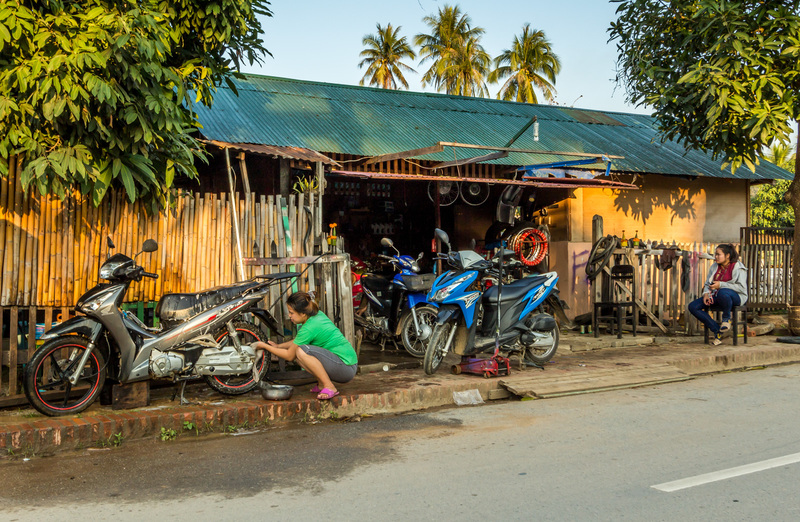 In the big city of Pakse I tried traveler websites, but what ended up working was simply putting a sign on her and parking outside of my hotel. The local guys hanging around were interested, but had no money. But later a guy knocked on my door. He offered me $300 in cash, in the form of a huge wad of kip, on the spot. It wasn’t much, but I took the offer. 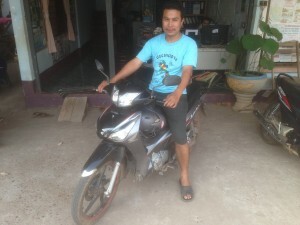 It was an incredible deal for him, to get such a nice, new motorbike for so cheap. And I wasn’t sad at all. I knew I had made the right decision. We rode through many mountains. 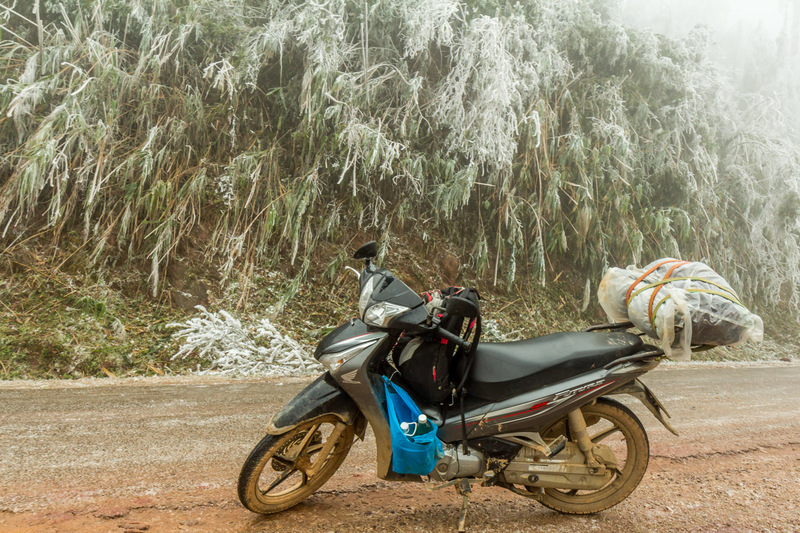 Selling my wheels meant I had no way to get around town and see the sights of Pakse. I have no photographs of it. 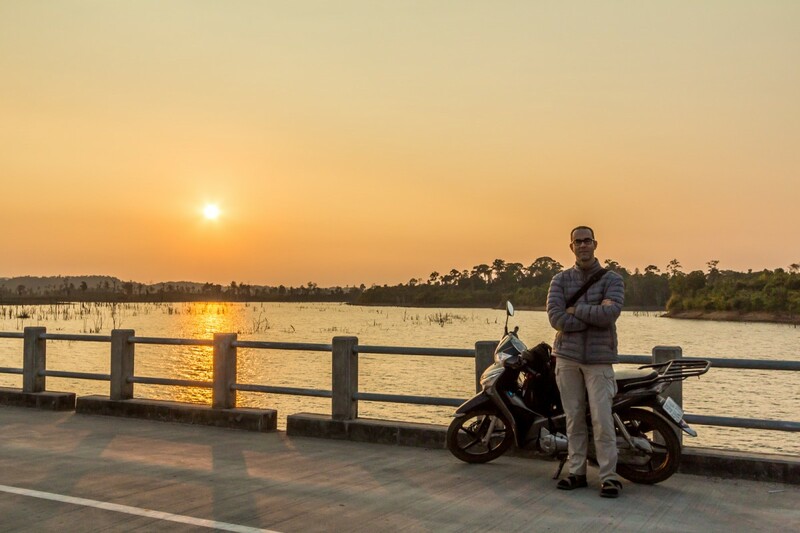 I bough a ticket on a tourist van to my final destination in Laos, the 4,000 Islands, from the guy who bought my bike. 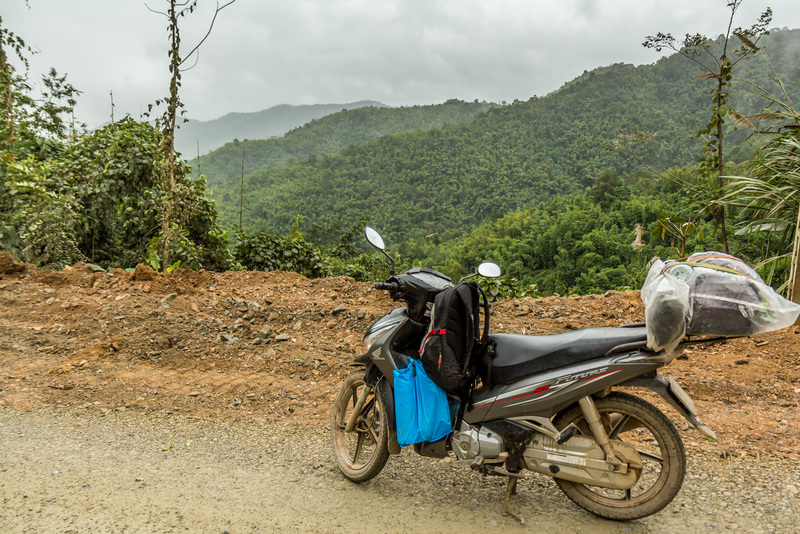 But being stuck in a van meant no stops along the road for photography (although it wasn’t scenic). I would be reverting to just being transported from place to place, with long, boring rides in between. Hence I’ll be dropping the daily journal format for my last destinations in Laos, since nobody wants to hear about boring bus rides. But in short, bus rides in Laos are horrible. Get your own wheels! I took good care of her.